Stock Photo News. The Magazine about The Stock Photography Industry. This page is a secret bonus page of Stock Photo News with no public link to it. Please help me to keep it secret for others than for new subscribers to Stock Photo News. Photographers and publishes need these resources. Main bonus: Search Engine Optimization Made Easy by Brad Callen. It is claimed to have a value of $ 89. For me the important thing is that I give you this bonus with the feeling that this will make your website or websites much more competitive. - And it is written very well. Just download this pdf-file here to your desktop so it will be easy for your to find and start using it. ... to generating motivated, targeted traffic that wants to click on your recommendations, links to the related products sold by merchants you represent or your own products. Download your copy of The Affiliate Masters Course here as a pdf-file. In fact with an established website you will learn quite a lot from this ebook, too, so make your own evaluation by downloading it. 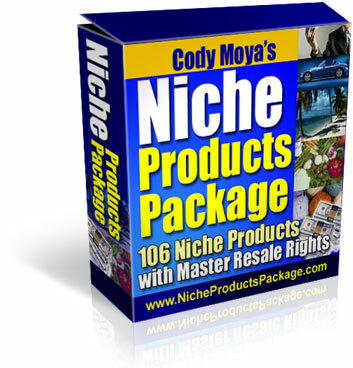 A Giant Package of 106 Niche Products. Download them here. Even for the budding stock photographer or the student of creative productions this photo ezine should be well worth studying.